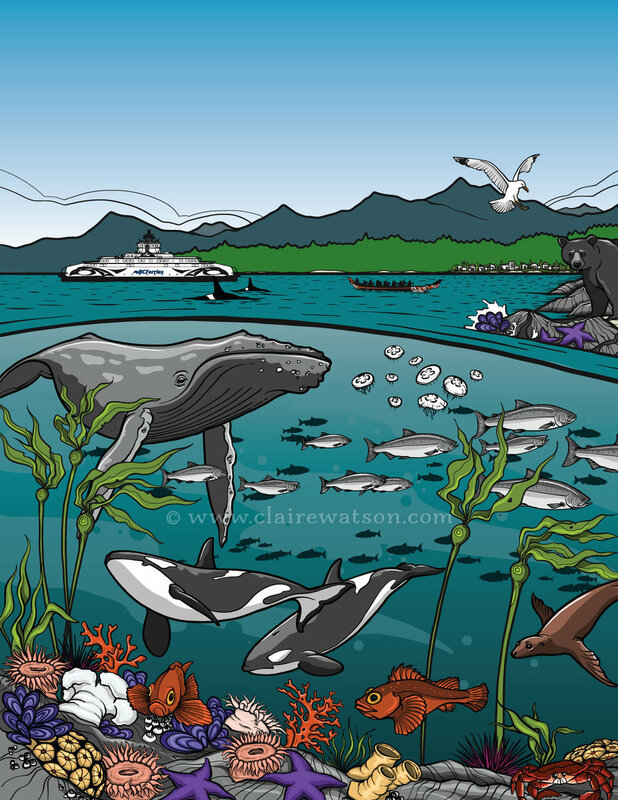 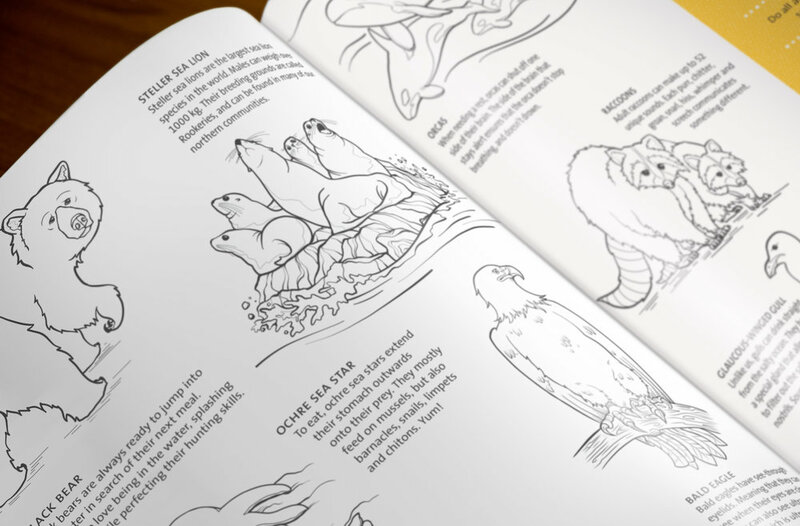 11” x 17” Two Page Spread Colouring Page showcasing the British Columbia coast and it’s inhabitants. 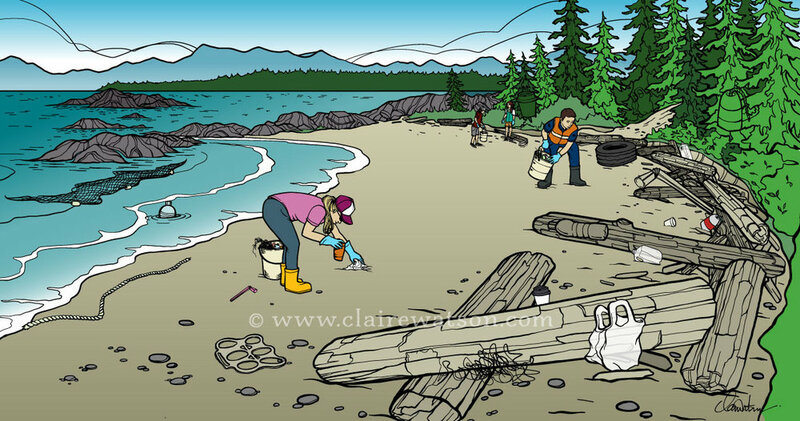 11”x 17” Two page spread Search and Find - emphasis on marine debris, ocean plastics and beach clean ups. 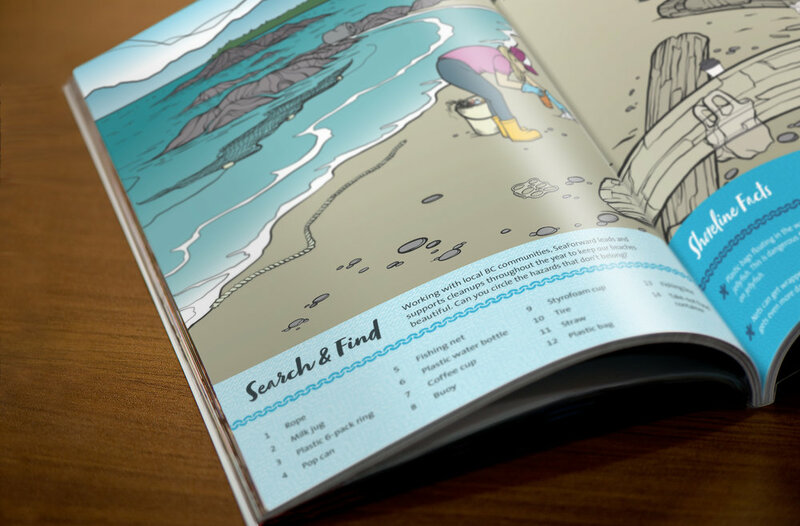 Mock up by Grey Advertising Canada.